Today I am giving you permission to be you. And by you I mean 'who-you-really-are'. So what happens next? 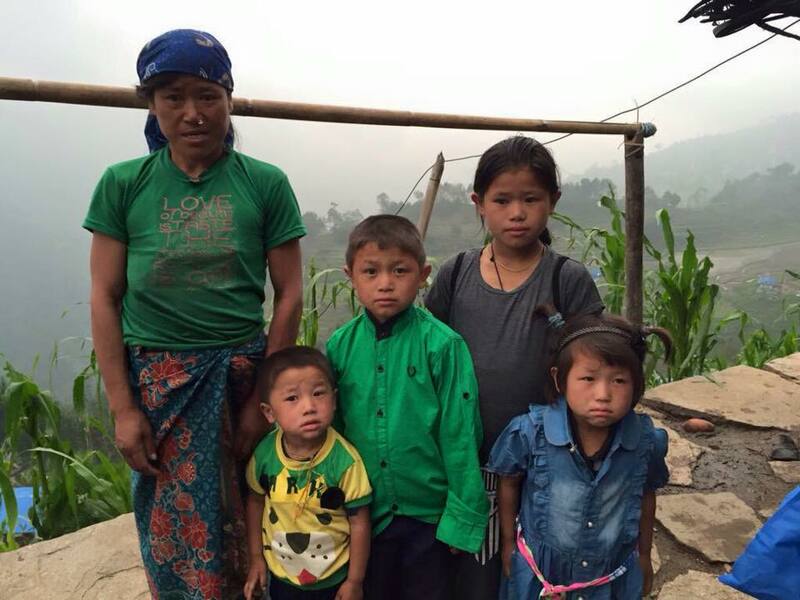 Well obviously we want to start putting the money to good use as soon as possible, by helping to rebuild Pasang Temba’s home so his family no longer have to live in tents, and to give some immediate financial support to Kumar and Tenzing’s wives and children. However we are dealing with very remote villages in a country thousands of miles away, communication is very limited and so nothing is as easy as it sounds! I know we can achieve all our aims, but we must be patient and not rush, so everything is done properly. 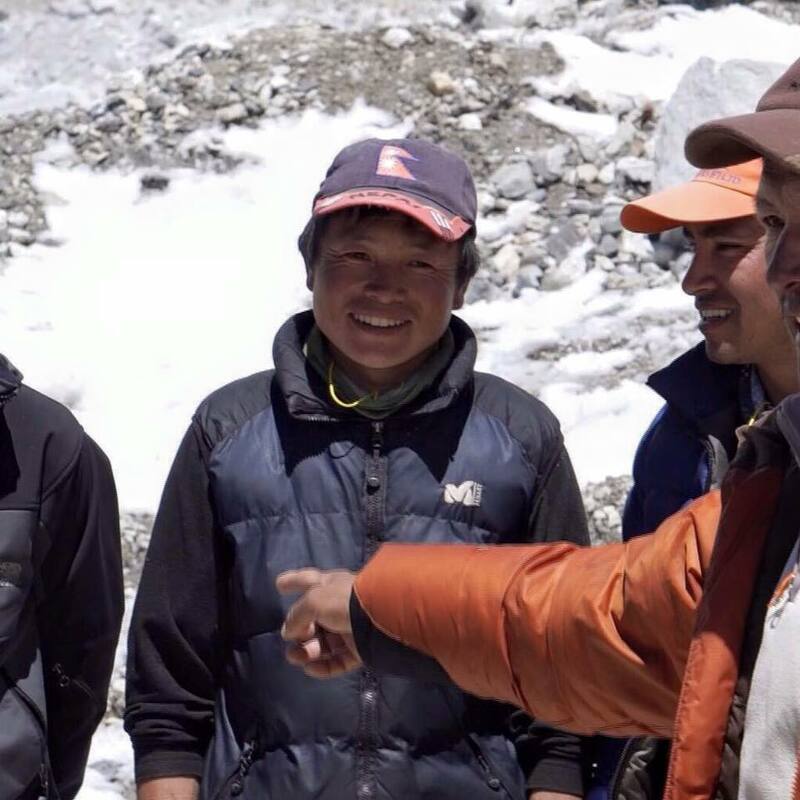 A Kiwi friend and fellow Everest summiteer, Mike Allsop, has also been raising money for Pasang Temba’s house, so we have decided to split the costs between his fund and ours, thus leaving us both with money to help rebuild other houses in the village of Pangboche. 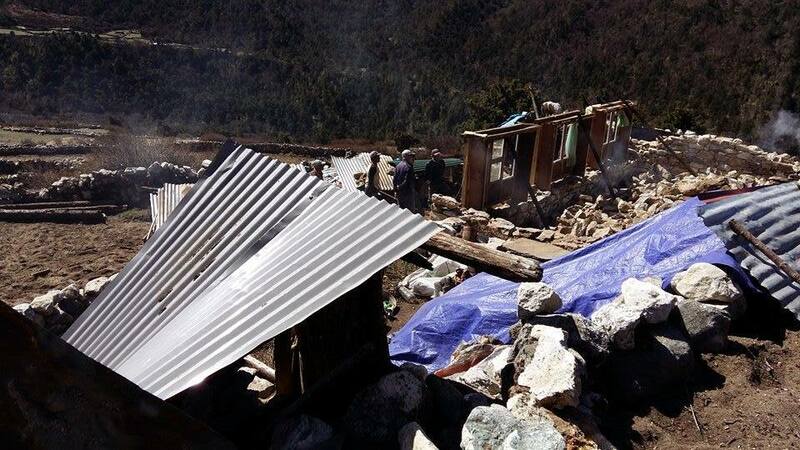 The epicentre of the second earthquake was close to Pangboche, which is only a few days walk from Everest base camp and the village suffered greatly from this second major shock, which caused many houses in the village to collapse. So there is much work to be done. 40 Metres of dressed stone $5 a metre. Zinc corrugated roofing 40 pieces presently $20 a piece. Best quality durable. 120 lengths of wood $35 a length. Door frames window frames etc. 20 sheets of plywood $65 a piece. I think flooring. 60 sheets of thin plywood $25 a piece. Walls and partitions. This all adds up to $8000. All prices are in dollars. Some material can probably be salvaged from the wreckage of the old house. Phew! Just writing about it makes me feel exhausted! What a journey all the building materials have to make. I did say nothing is simple out there! Everything takes so much time, firstly to organise, because communication is difficult. There are no landline telephones high up in the mountains. Most people will not have a mobile phone, which only works in some locations anyway, since there are very few masts. They certainly cannot afford satellite telephones, and internet is only available in a few locations. Then, once materials have been ordered it takes time, quite a bit of time, for them to be moved from one location to another. Kumar's family live in the village of Chheskam in the Khumbu or Everest region, between Lukla (the airstrip that trekkers fly in to) and Phaplu. Kumar left four children, two boys and two girls. Every spring Kumar worked as assistant cook on our Everest expeditions and in the autumn he worked as assistant cook on other local climbing expeditions. 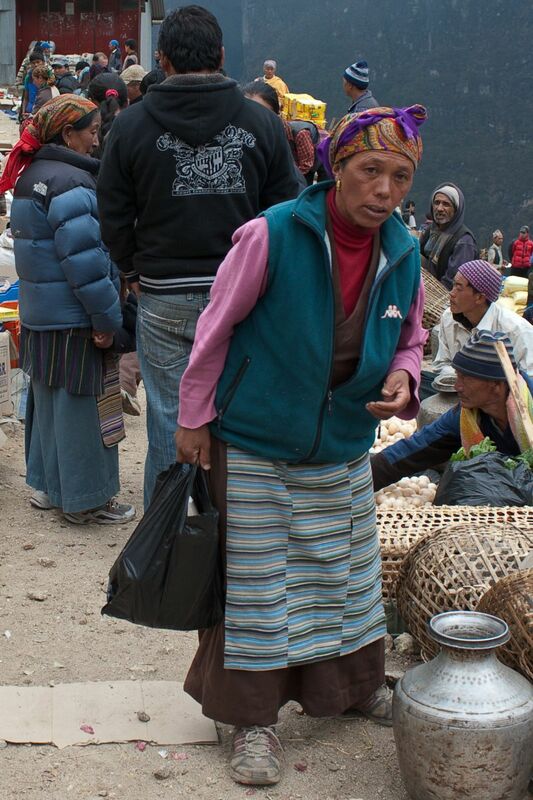 The rest of the year he worked as a cook boy for our Sirdar Kame in his house in Pangboche. So he spent most of his time either in the village of Pangboche or on Everest. This is the normal way of things, in that the men will work away from home in order to earn money and send that money back to their families. So they don’t often spend a lot of time in their own home with their wives and children. As a cook boy Kumar would have earned approximately $2000 (US dollars) a year. At the family house in Chheskam, Kumar’s wife has small agricultural plot where she grows vegetables. Whilst Kumar was away, mother and children would tend the land together. In general people up in the mountains grow what they eat. Since there are no roads, getting food any other way is difficult. They don’t always have monetary income. Any surplus food they will sell or barter in exchange for things like paraffin (for lamps and stoves) and matches. It is a very simple way of life. The children go to the local school which apparently is very good and we have been advised that neither they nor their mother wish them to go away to the larger school in Khumjung near Namche Bazaar, which we would have been happy to contribute to, but which would involve them staying away from home. We are at present trying to ascertain how much the family will need per year to live and how much they need in the short term for immediate needs. When we have this information, which should be in the next few weeks, we will be sending them some money. We have been advised that it is better not to send over large amounts of money, but to send smaller amounts over a longer period of time. So this is what we intend to do. 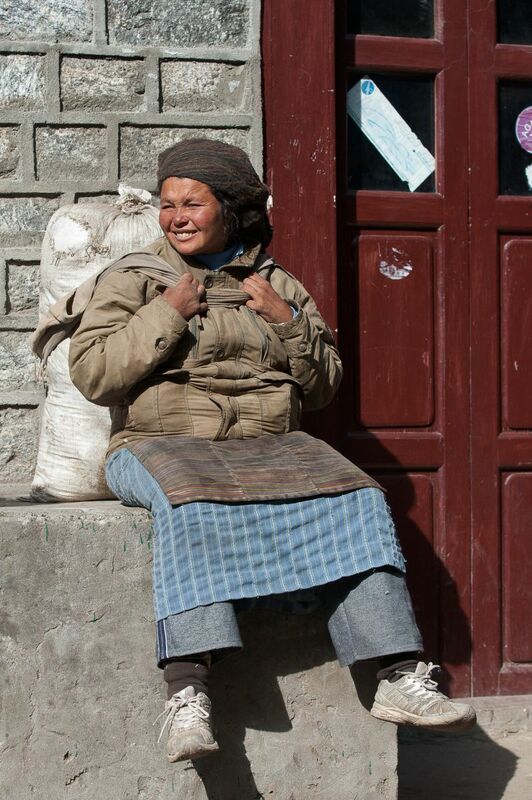 Bank accounts have already been set up for the wives of both Kumar and Tenzing in order to facilitate this. 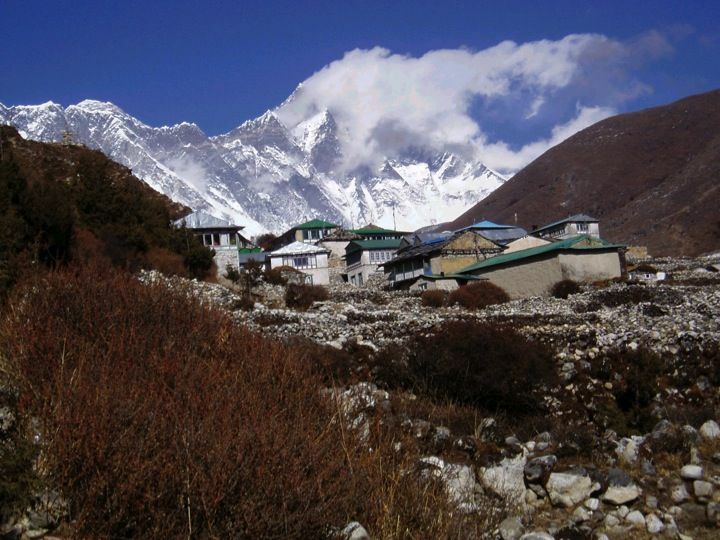 Tenzing’s family house is in the village of Gorakhani, which is also in the Khumbu region, but at much lower altitude than that of Chheskam or Pangboche. However at the time of the avalanche his wife and children were living in a small house in Kathmandu. Tenzing worked as a climbing Sherpa and Trekking Guide and the agencies he worked for were in Kathmandu, so that is where he needed to be. As a climbing Sherpa Tenzing would have earned approximately $4,500 - 6,500 (US dollars) a year. As with Kumar’s family we are still trying to establish how much money Tenzing’s family will need in the short term, and in the longer term. So that is the situation. Sorry this has been such a long epistle, but we wanted to give you a full report of where we are at and what will happen next. Climbing Everest taught me a lot, both about myself and how much we can achieve when we work together as a team. On Everest the sherpas are a large part of our team. 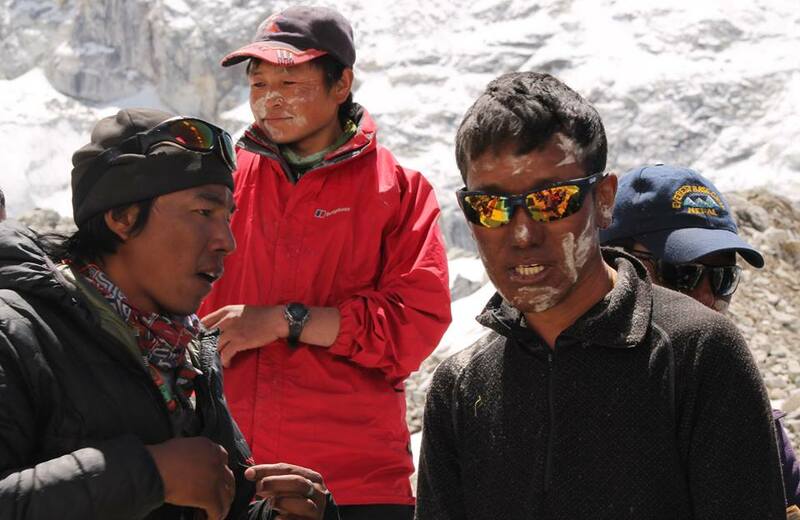 Without them to carry loads on the mountain, to fix ropes, to dig tent platforms out of 45 degree ice slopes at Camp 3, then most people would never climb the mountain. I certainly wouldn't have. 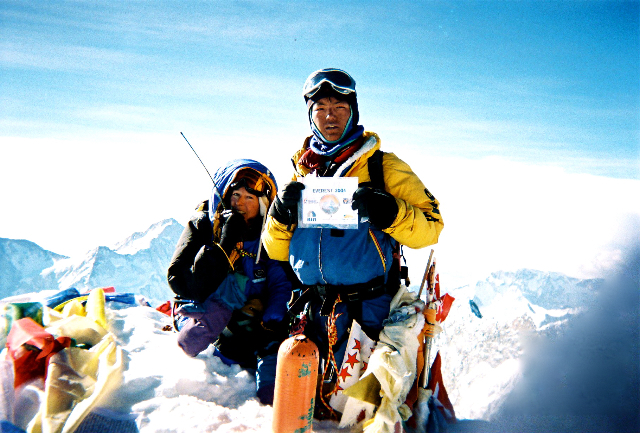 And I couldn't have done it without Sherpa Ang Nuru, who climbed with me to the summit, carrying a spare oxygen cylinder for me, clipping me to him when there was no rope and with whom I felt so safe. It was an honour to share the summit with him. The letters of the word TEAM spell Together Everyone Achieves More, and I think we have proved that to be true, with the enormity of what we have achieved so far in raising so much money. I know that the people in these remote mountain villages will need our support for a long time to come whilst they get back on their feet and begin to rebuild their lives. So the fundraising is going to be ongoing. I have no intention of stopping here, I am simply going to raise the bar higher. I would like to help rebuild other homes in Pangboche, including that of my Sherpa Ang Nuru, whose house has also collapsed. I owe that to him, at least. If you would still like to donate you can find information on how do to do this on our website http://www.sherpafamilysupport.co.uk or go to our justgiving page https://crowdfunding.justgiving.com/sherpafamilysupport . Lastly I would like to say a really HUGE thank you to John Duncan of Lighthouse Graphic Design, who has singlehandedly and free of charge created our website and designed posters and postcards for us, not to mention the logo! John is a very welcome addition to our team and I mean it when I say we couldn’t have done this without you John. Thank you all so much for everything you have done and we will keep you updated with further developments. Sue, Colin, John and the team at Braemar Mountain Sports without whom none of this would ever have happened. "The danger is not in aiming too high, but in aiming too low and achieving it."